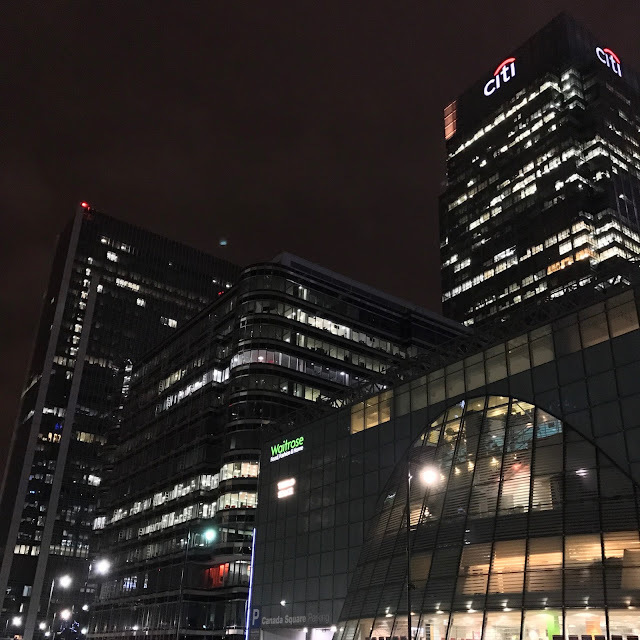 We visited London to go and see Impractical Jokers live at the 02 Arena (who incidentally are coming to Newcastle in October for those of you that live near me and might want to go and see them!) but as my birthday is Christmas Day, we decided to use the trip as an excuse to shop and celebrate my birthday properly. I won't talk too much about the night time (because it's fashion and things to do we're here for! ), other than the fact that we went to Jamie's Italian at Canary Wharf for food which is worth a visit in itself as the buildings are so pretty in the evening! It was a really wet night, but it was amazing to see the 02 lit up in all its glory. The meal was sensational and Impractical Jokers were great (although the show was a little short!). 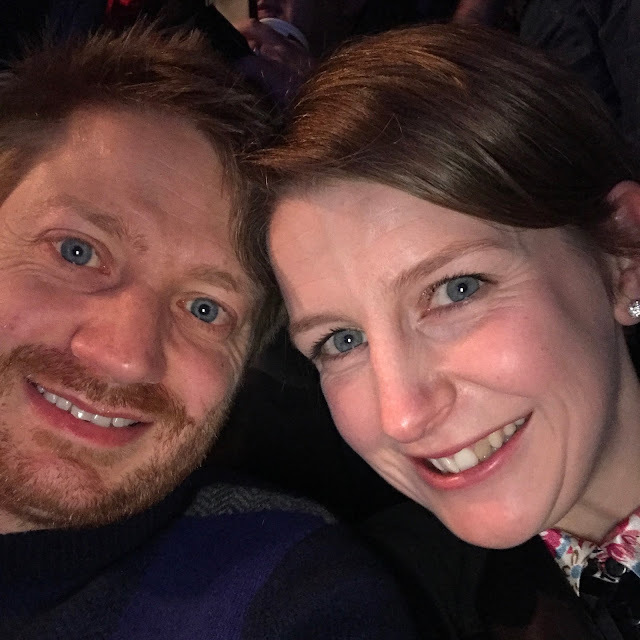 It felt like we were sitting on the roof of the building inside-but having never been to the 02 before it was great to see such a fun show there! There's a cafe in the viewing room of the Sky Garden which we didn't use, but it looked really nice. 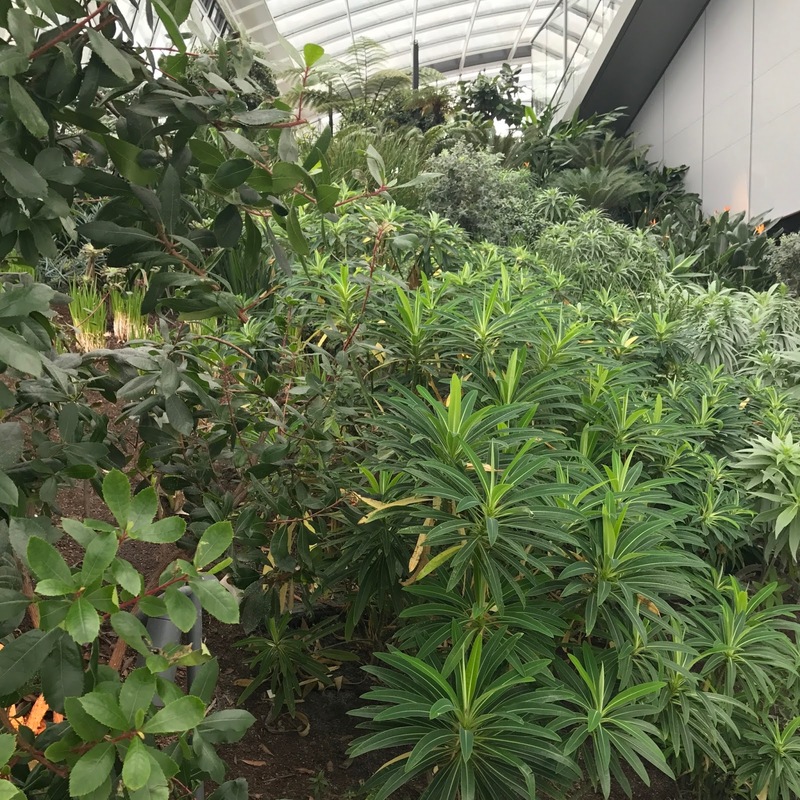 I, however, was more interested in the actual garden, which was super pretty and really helped to brighten up a dull morning in January. 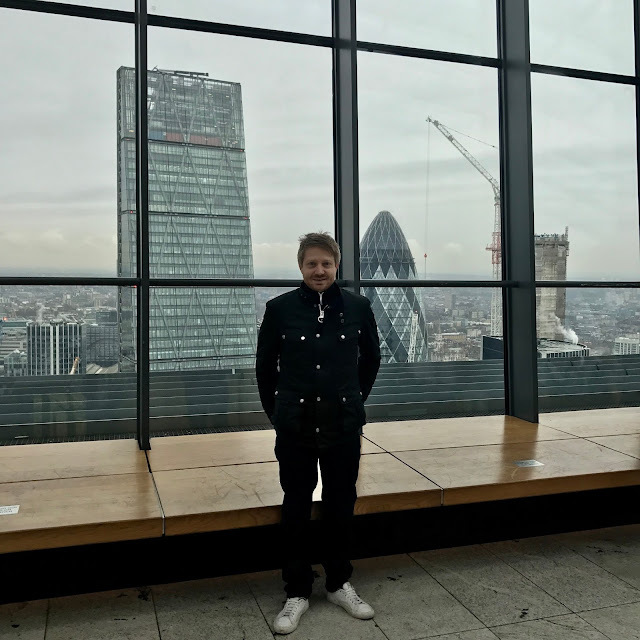 After we'd taken in the full 360 degree view from the Sky Garden, we decided to hit the shops, after a stroll past beautiful St Paul's Cathedral and a hop on the Tube heading in the direction of Oxford and Regent Street. 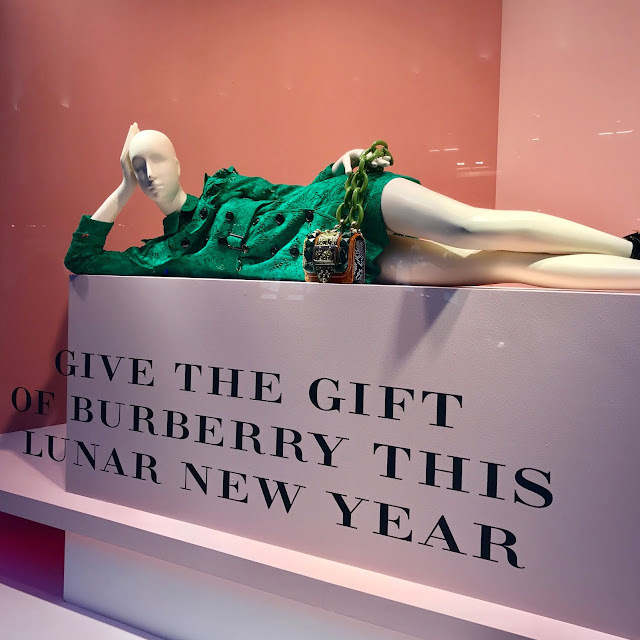 Selfridges were running their sustainable fashion month whilst we visited; so from a Visual Merchandising perspective, the windows were really fun and a total change to what had been there over the Christmas period. 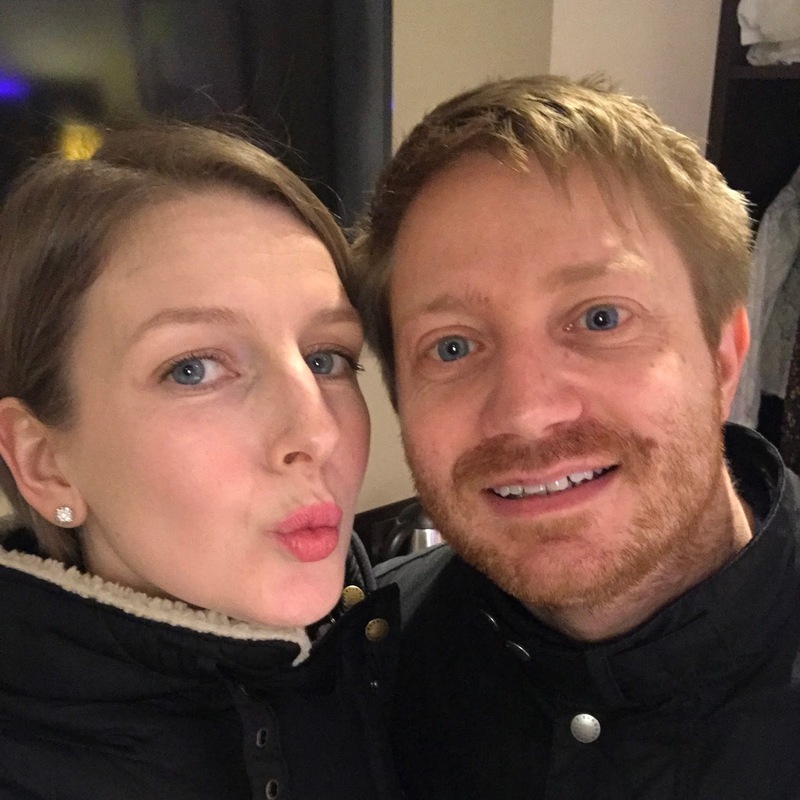 We wandered for a shopping eternity and my Mister managed to bag himself a few bargains in Selfridges. He got the heaviest, and woolliest of jumpers from the Reiss department, perfect for the winter weather. 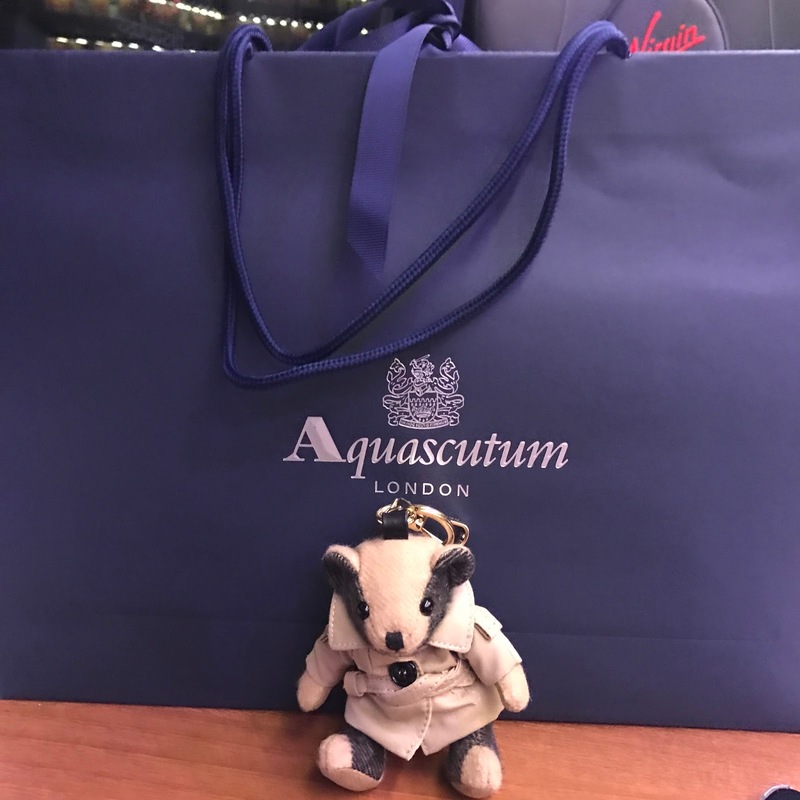 However my pennies were put to good use in Aquascutum on Regent Street, where I bagged a polo shirt and pair of black jeans for the bargain collective figure of £50-massive savings all round (I'll feature these in a future post-I can't believe that I have't already!!). 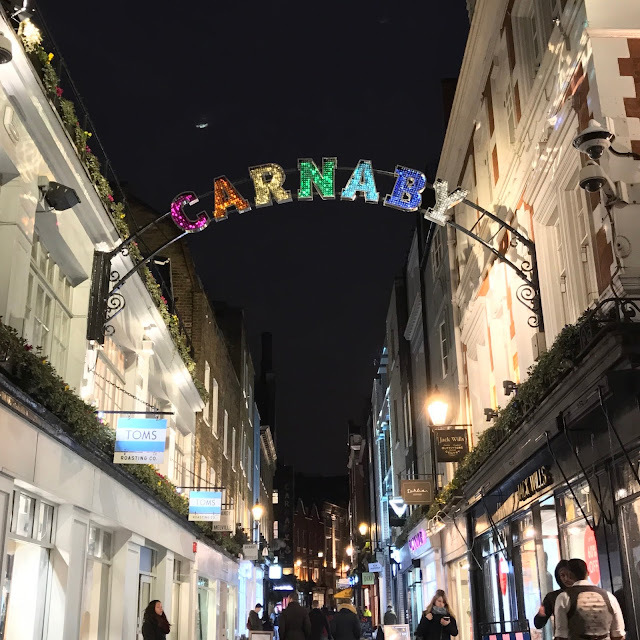 Before catching out train home, we had enough time to visit Carnaby Street, which looked even prettier in January than it had over Christmas. I particularly loved the clear glass lightbulbs which looked amazing against the night sky. And just like that our trip was over, but we did manage to bag a First Class upgrade for our journey home-the perfect way to end a fashionable trip in style.